Galway had the honour of hosting the final of the European Young Chef Award 2018, which took place last night as part of Galway, West of Ireland’s designation as a 2018 European Region of Gastronomy (ERoG). 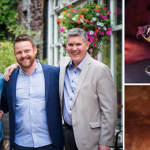 Galway was the first region in Ireland to hold this award, and the year-long programme’s key objective was to focus attention on the vital role of the food industry in Galway and how central it is to the present and future. 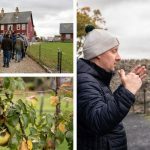 Hosting the prestigious European Young Chef Award has built on the wide-ranging and vibrant programme of events, festivals, projects and initiatives which have taken place throughout the year as part of the Galway, West of Ireland ERoG 2018, which has enhanced Galway’s food culture and created a lasting impact for the region. The event provides participants with the opportunity to learn about the gastronomic heritage of different regions, and saw the young chefs showcase traditional dishes and local food products from their own region as well as compete for the title of European Young Chef 2018 by creating an innovative version of a dish which is traditional to their region. Galway chef Aisling Rock held the title from last year’s awards which took place in Barcelona, while Andreas Bjerring from Aarhus-Central Denmark, European Region of Gastronomy was announced as the European Young Chef 2018, with his dish ‘Memory of my Childhood’ which was an innovative take on the traditional Danish recipe ‘Larded Apples’. Ireland’s 2018 representative, Galway chef and final year student in the GMIT Culinary Arts programme, Andrew Ishmael, served his signature dish of beetroot-cured mackerel with horseradish panna cotta, pickled shallot and fennel, which is a twist on the classic combination of mackerel with horseradish cream. The panel comprised of leading chefs and international experts, including Michelin-starred chef and restaurateur JP McMahon, judged the dishes based on their innovation, taste, presentation and cleanliness. The judging panel commented that they were very impressed with this year’s standard, and head judge JP McMahon highlighted the interesting storytelling which came from all of the contestants’ presentations and cooking. The competition saw contestants from Ireland, Portugal, Catalonia, Romania, Slovenia, Italy, Finland and The Netherlands compete for the title of European Young Chef 2018. The European Young Chef Award was organised by the International Institute of Gastronomy, Culture, Art and Tourism (IGCAT) in collaboration with key partners in the Regions of Gastronomy. The European Young Chef Award was hosted by the four key European Region of Gastronomy 2018 partners: Galway County Council, Galway City Council, GMIT and Teagasc. For more information about European Region of Gastronomy, Galway, see the official website www.galwaygastronomy.ie and follow @gastronomy2018 on social media.